Introducing the smallest true 16x16mm AIO FPV stack on the market. 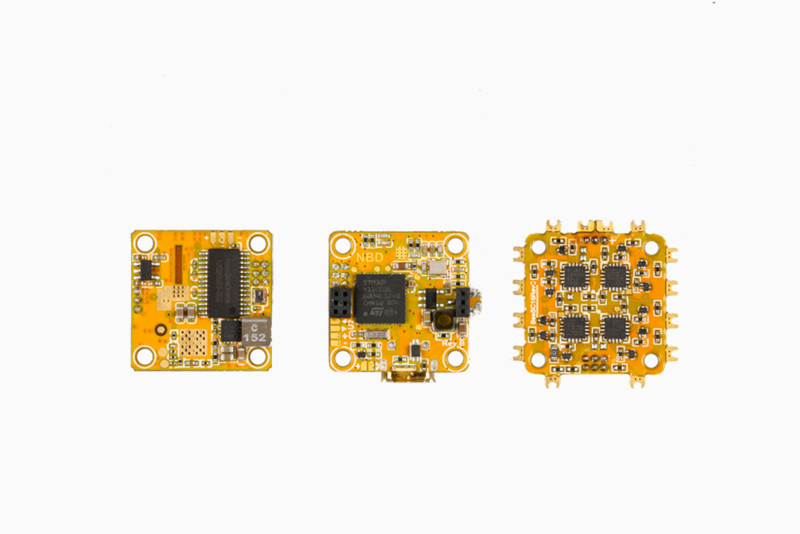 No longer will you struggle to piece together different components and electronics to get your micro class size quad together or sacrifice features in order to save weight. Our convenient and fool-proof stackable design ensures easy and quick assembly or disassembly. The VTX is an interchangeable 25mw / 200mw power to fit your needs whether it be racing in small-class leagues or doing freestyle for great range and clarity. Full Betaflight OSD is also featured and supports VTX power, channel, band, and PID tuning via OSD as well with smart audio. A JST plug is built in for easy plug and play camera installation for our BeeEye camera, as well as Video, Power, and Ground pads for universal camera use.